The not-so-tough go to the beach, which is exactly where my main character Celeste Jones in The Summer Retreat goes after her latest true love turns out not to be so true. 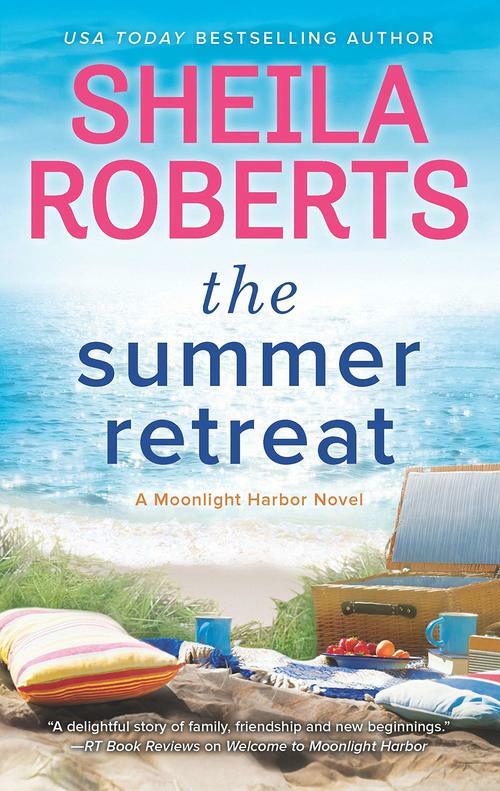 This is another story set in my new fictional town of Moonlight Harbor, which I based loosely on the charming beach town of Ocean Shores, Washington. Ocean Shores offers visitors an impressive system of canals for kayaking and a funky downtown that is a mix of both new and vintage buildings, many leftover from the sixties when the town first came into being. You’ll find any number of shops, including one with a storefront shaped like a giant shark. Shoppers enter through the shark’s mouth. You can enjoy an ice cream cone at the ice cream parlor, then ride bumper cars or go-carts, play miniature golf or enjoy a full-sized golf course. Tennis and pickleball courts abound as well, and locals who join the community club (almost anyone who buys property there can join the club) can choose between two outdoor pools or one indoor pool for swimming. Then, of course, you have the beach and those gorgeous sunrises and sunsets. Beach fires, surfing, storm watching, beach combing, clam digging followed by clam chowder – life at the beach can be idyllic. And so romantic! Having grown up in Seattle I’ve always been around water. When raising our kids we would often take a day trip to the Washington coast to play in the waves and make sand castles. Even now, as an adult, I find the beach to be my happy place. I think we all have somewhere like that – whether it’s the woods, the desert, a snowy mountain town, a lake, the old family homestead, or a campground. There’s someplace that calls, “Welcome home,” every time we visit, someplace filled with memories of adventures and discoveries, someplace that offers scenery capable of making us sigh with satisfaction. Maybe that’s why I’m so enjoying writing this new series set at the beach. Somehow, walking in the surf watching the gulls swoop by or taking in a beautiful sunset helps my characters put their lives in perspective. I must say there have been many times when I looked out at that vast ocean and was humbled by how very great it is, how very great the One who pulled back those waters and made dry land must be. And how small many of my problems are in the eternal scheme of things. I find comfort in the steadiness of the waves. And I sure love beachcombing! When we’re at the beach I even sleep better. And why not, because that’s where I go when I want to leave my problems behind. Of course, wherever we go, well, there we are. That doesn’t mean we can’t hit restart and make changes in our lives. And that’s what Celeste (who makes the top ten of all the characters I’ve ever written) is going to do. She’s going to sort out her life. And when it comes to men she’s determined to get it right. But maybe what she thinks is the right one really isn’t. Has that ever happened to you? Will that happen to Celeste? I guess we’ll have to wait and see. Meanwhile, I hope you’ll join me at the beach for The Summer Retreat. Because life’s always good at the beach. Celeste Jones has plans for a perfect summer with her boyfriend (and hopefully soon-to-be fiancé)—until he dumps her to be with the woman he’s had on the side for months. Heartbroken and furious, Celeste resolves to move on. When the going gets tough, the tough okay, the not-so-tough go to the beach. 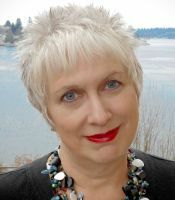 Sheila Roberts lives in a small waterfront city in the Pacific Northwest. She’s happily married and has three children. She’s been writing since 1989, but she did lots of things before settling in to her writing career, including owning a singing telegram company and playing in a band. Her band days are over, but she still enjoys writing songs. Sheila’s books are best sellers and often appear as Reader’s Digest Condensed Books and book club selections. Her novels ON STRIKE FOR CHRISTMAS and THE NINE LIVES OF CHRISTMAS were featured as Lifetime and Hallmark movies and she has her fingers crossed as she has more film interest in some of her newer books. When she’s not speaking to women’s groups or at conferences or hanging out with her girlfriends she can be found writing about those things near and dear to a woman’s heart: family, friends, and chocolate.